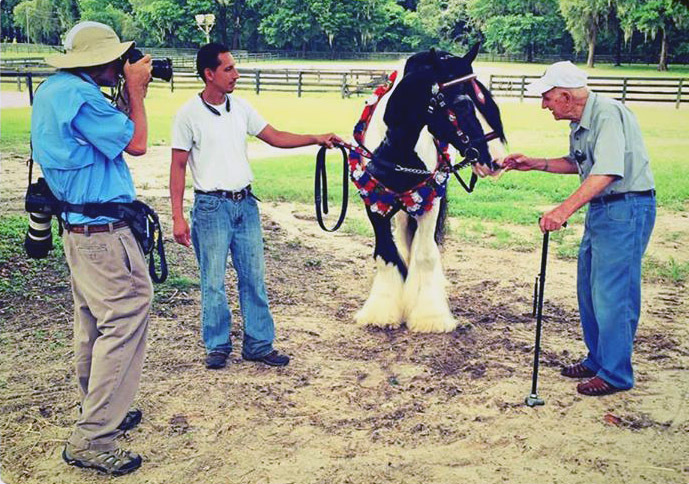 Horse Farm Tour – Discover America’s first Gypsy Vanner Horses. An overview and introduction to the breed and its history, the unique British Gypsy culture and where the breed is today by Dennis Thompson. A walking tour of the farm where you’ll meet the stallions, mares, foals and various other animals loved at Gypsy Gold. We have treats you may purchase, or you are welcome to bring your own carrots. Photo op time! 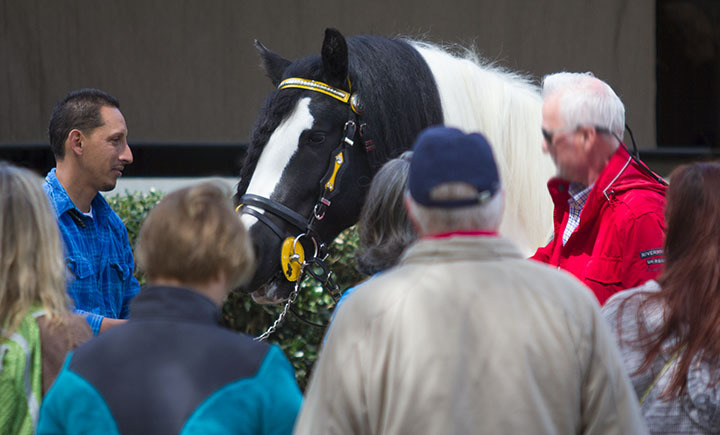 You’ll be invited to create a memory of your Gypsy Gold tour with a photo of yourself and one of our beautiful Gypsy Vanner Horses to share with your friends. Enjoy browsing in our Gypsy Store for books, videos and DVDs, posters, jewelry, model horses and figurines and everything Gypsy! Please arrive a few minutes early, the tour starts promptly at 10 am.